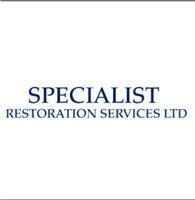 At Specialist Restoration, we aim to help our clients in any way we can with their moulding and restoration requirements. If its a cornice moulding to add character to the home to a large scale project in need of our services which include match existing profiles, plaster mouldings, bespoke pre cast stone, brick and stone repairs, plastering, traditional lime plaster and pointing. From our workshop in Bromley BR1, we make up all our moulds, by hand and using traditional methods, create any type of moulding you may require in plaster, stone, concrete and fibreglass.